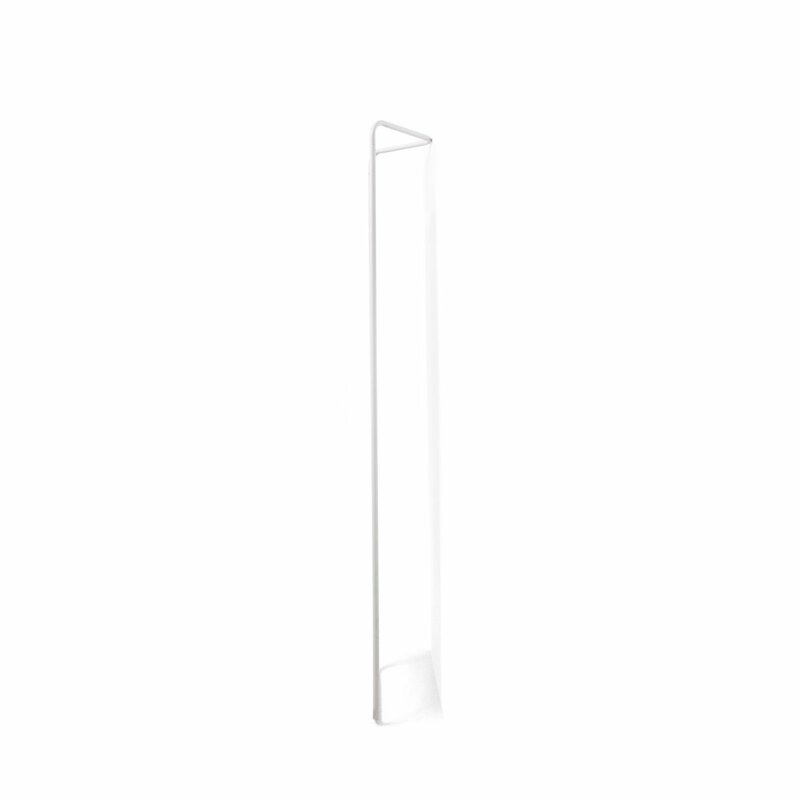 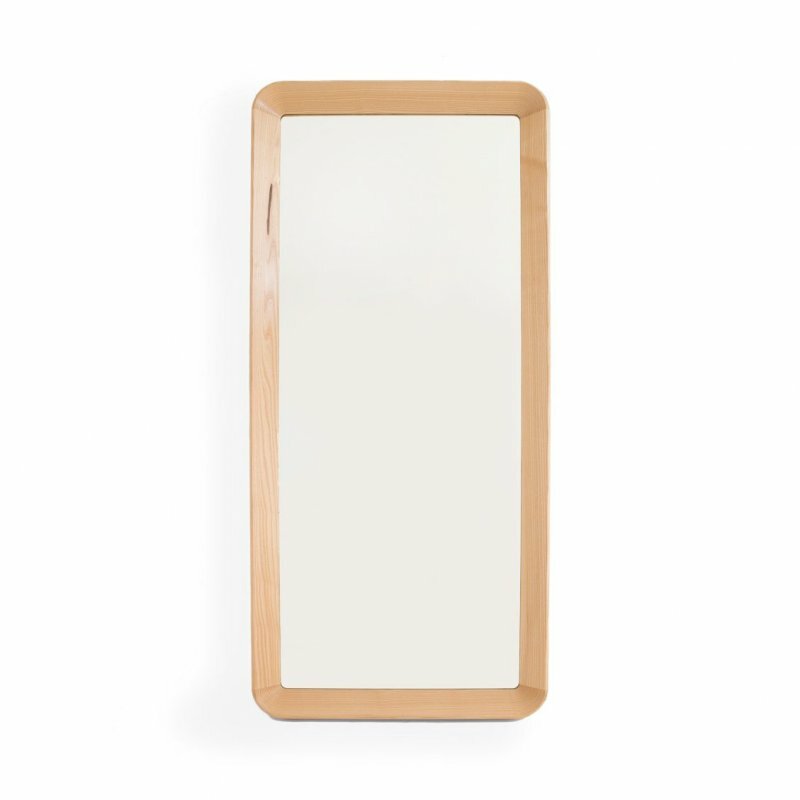 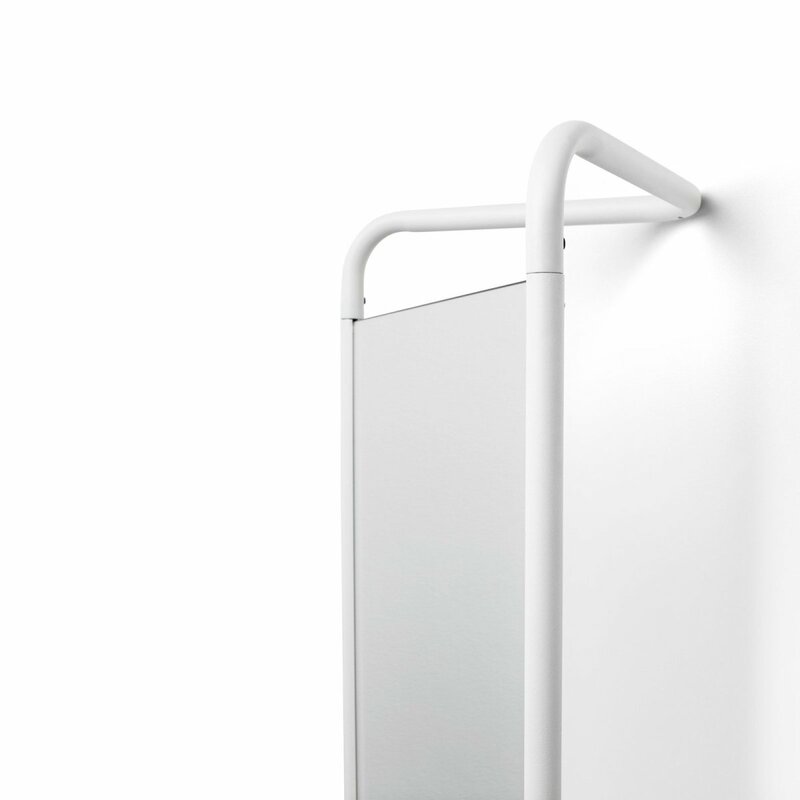 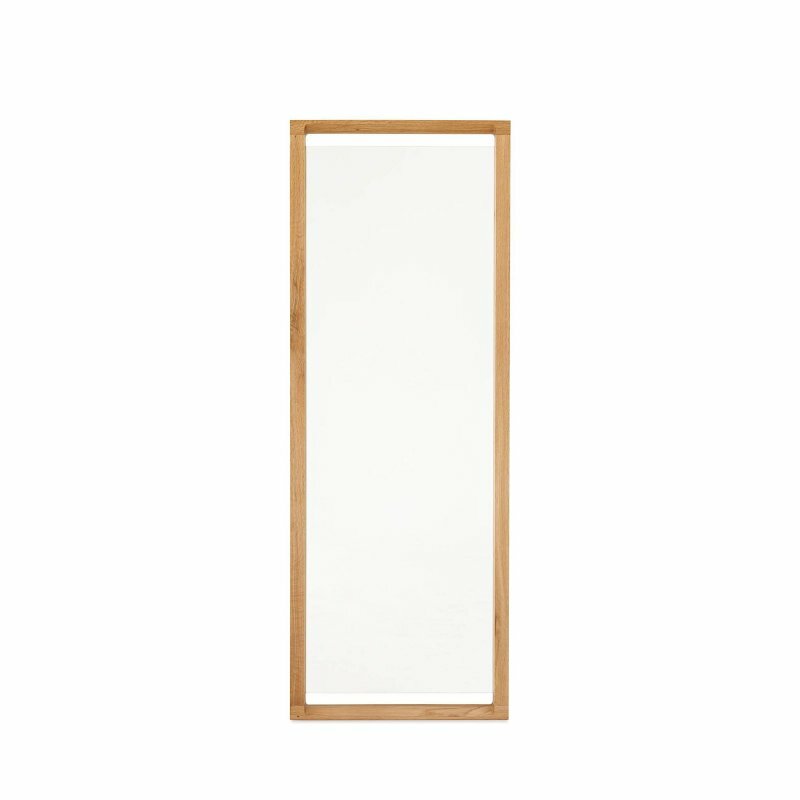 Kaschkasch Floor Mirror is a leaning floor mirror with simple beauty, designed by kaschkasch for Menu. 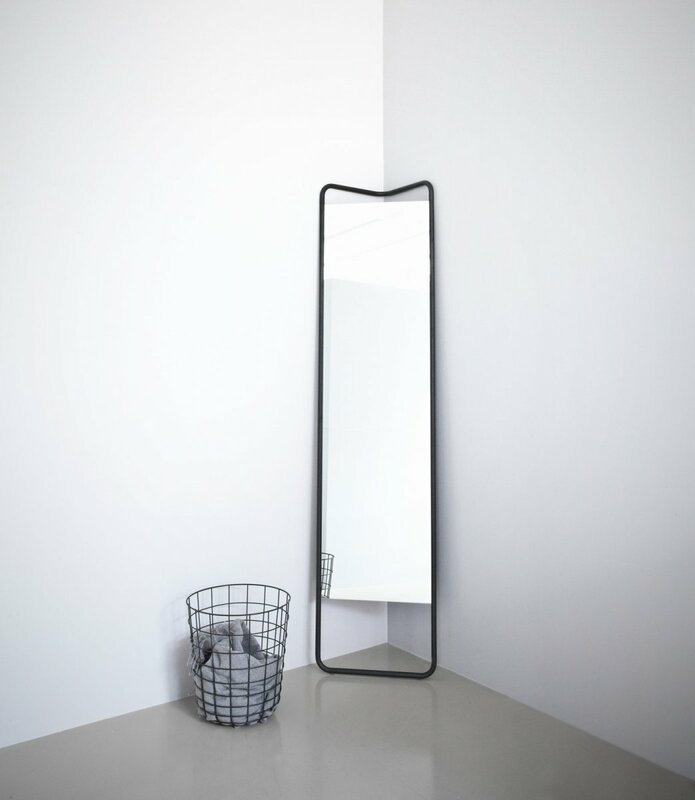 With a strong graphic expression and many functional details, the Kaschkasch Floor Mirror is a clever solution for today&apos;s domestic urban environment with limited space. 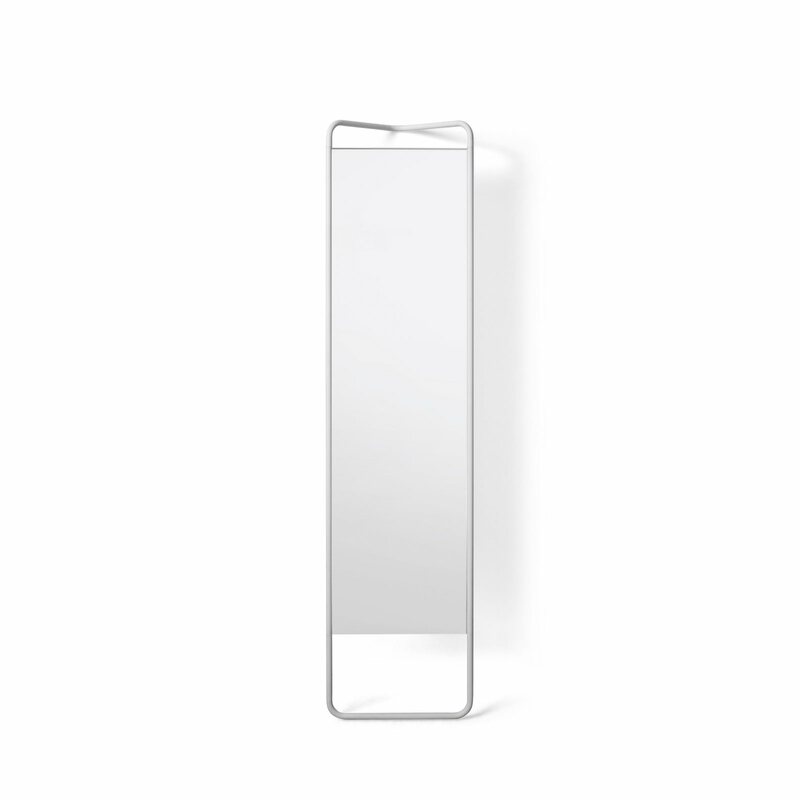 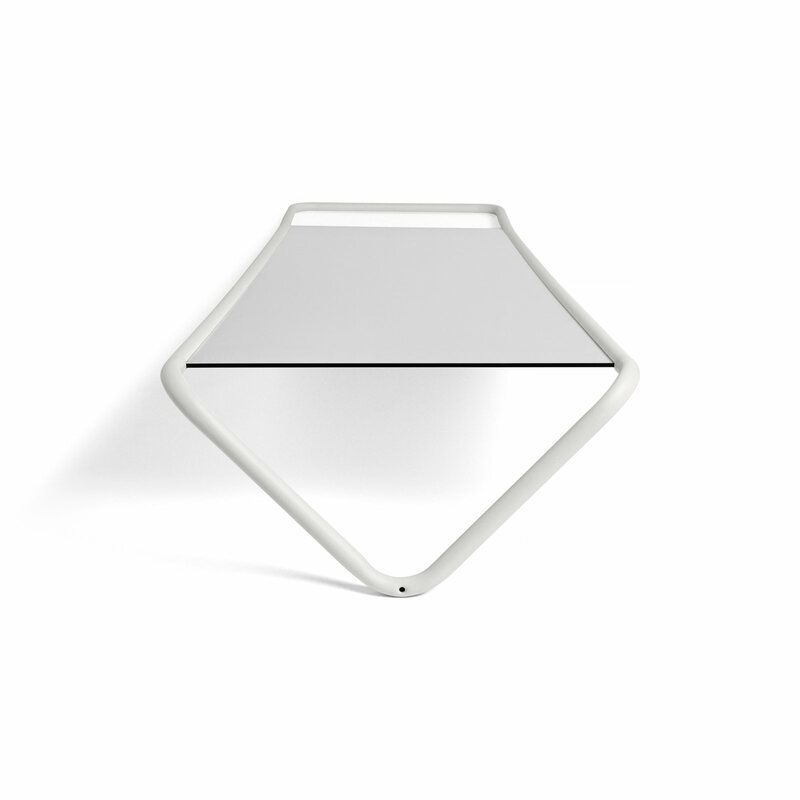 For starters, it&apos;s a full-body mirror and its triangle-shape is ideal for corners. 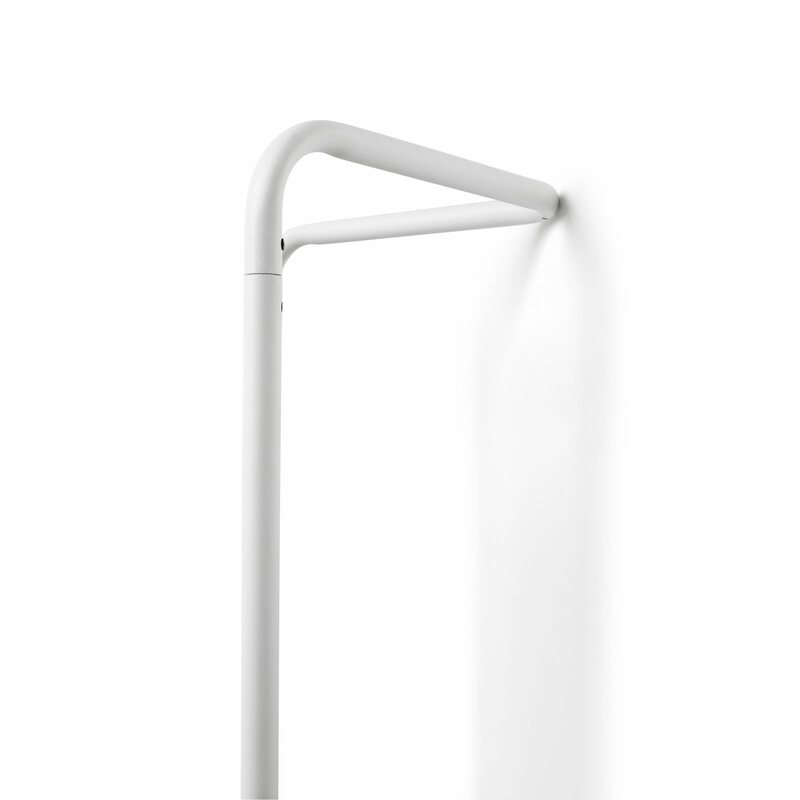 Its smart design also allows it to lean against a wall or stand on its own in different directions. 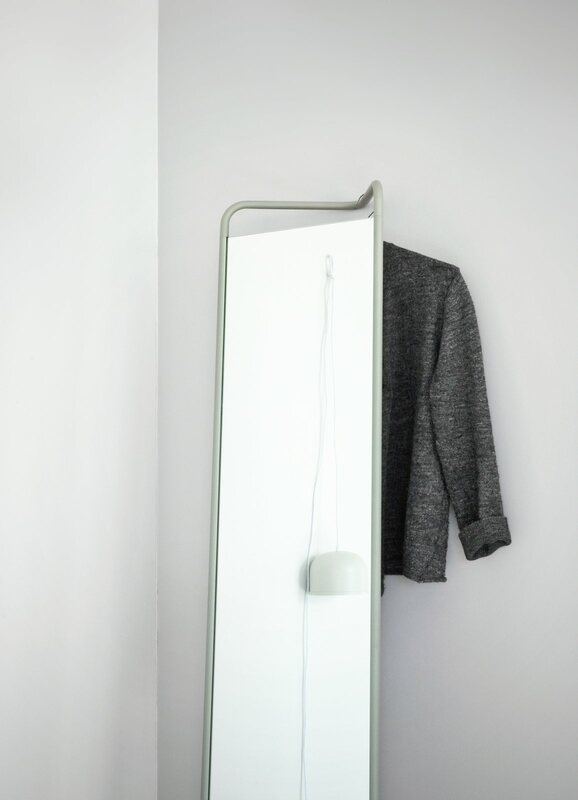 It then transforms into a wardrobe with multiple integrated solutions for hanging up clothes, from the sides or behind the mirror. 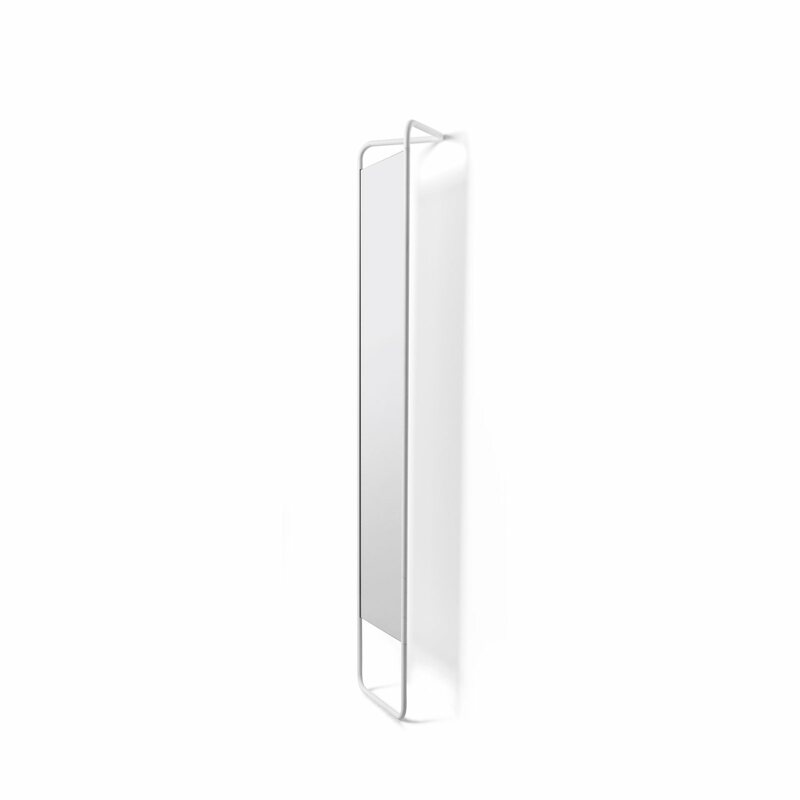 The user will always define the functions of this original space-saver.